"He called for me, looked me up and down, walked up and down when he was talking to me, didn't seem to take any notice. Finally he said, "Yes, I like you, I'll take you." He told me afterwards he took me because he thought I looked funny!" 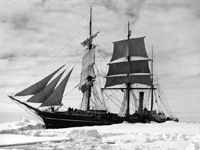 Shackleton's judge of character was to prove uncanny as Hussey became an invaluable addition to the crew in particular helping to raise the spirits and moral of the other men with his ready wit and banjo playing during the long days lost in the ice floes and while waiting for rescue on Elephant Island. "We must have that banjo if we lose all our food, it's vital mental medicine". The banjo was brought forth to celebrate the capture of food in the form of a seal or penguin and during the time on Elephant Island, a concert was held each Saturday night in the soot and tobacco darkened confines of the "Snuggery." Favourite songs were Swannee River, Massa's in the Cold Ground, Little Brown Jug and John Peel. There were also many songs written by the men themselves to existing tunes usually about and ridiculing each other. 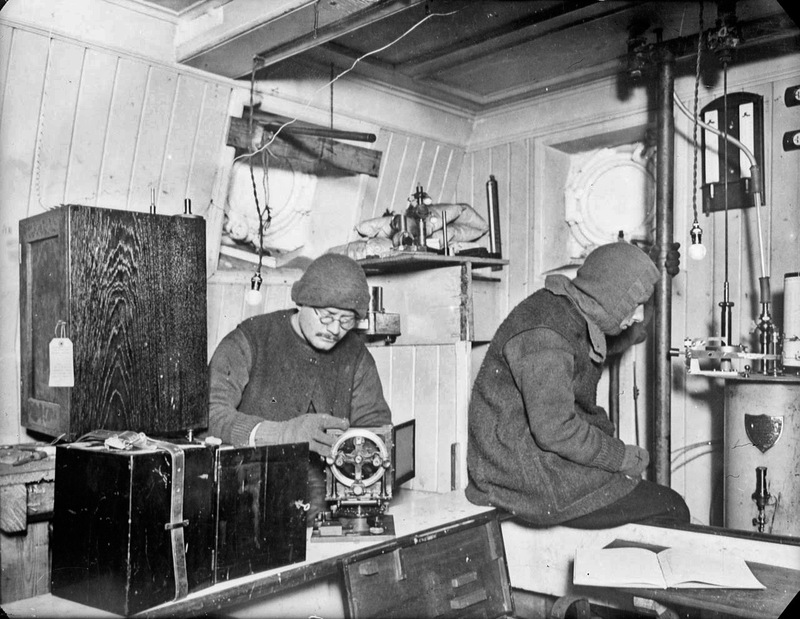 The Rookery, the scientific laboratory with Hussey (right) examining the Dimes anemometer and James (left) removing rime from the dip-circle, the electrograph is on the right. 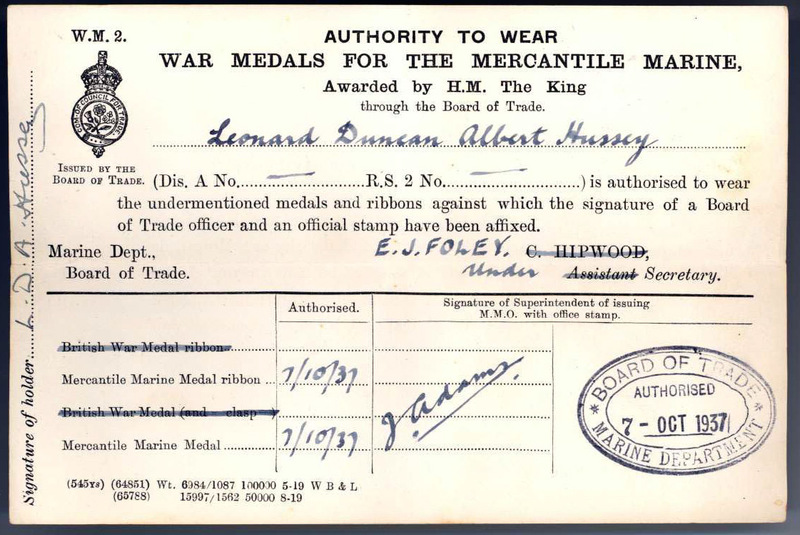 Leonard Hussey was born in Leytonstone, London, England, one of nine children, his father was in the printing industry. He enrolled at the University of London in 1909 gaining degrees in psychology, meteorology and anthropology from the University of London at Kings College. On return to England, like many of the other expedition members, Hussey became a part of the War effort being commissioned as a 2nd Lieutenant in the Royal Garrison Artillery and rising to the rank of Captain by the end of the war. He saw much battle action in France, including St. Quentin and Dixmunde and on the North Russia front where he served once again with Ernest Shackleton on operation Syren. 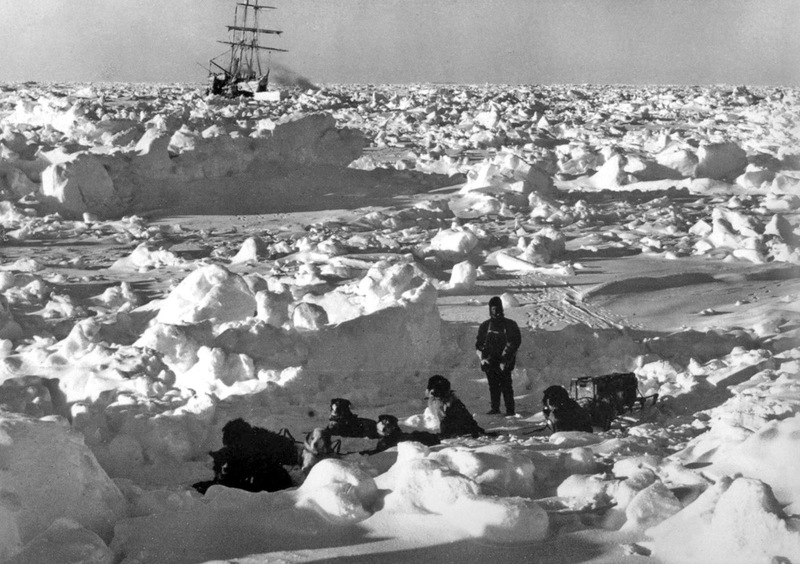 He remained in contact with Shackleton and completed the final editing of Shackleton's book of the 1914-17 Endurance expedition "South" - without payment. In 1921, Shackleton invited Hussey to join him on his last expedition to Antarctica aboard the Quest as meteorologist and assistant surgeon as Hussey had qualified in medicine since his return from the Endurance expedition. Shackleton had been ill with suspected heart disease (suspected because he would not allow himself to be examined by a doctor) for some time. He had put on weight and was smoking and drinking too much, despite surviving a heart attack in Rio de Janeiro he pressed on, but died of another heart attack on South Georgia. 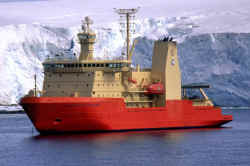 Hussey accepted the duty of escorting Shackleton's body back to England, but by the time he reached Montevideo (Uruguay) a telegraph was received from Shackleton's widow requesting that her husband be laid to rest on South Georgia. Hussey returned with the body and made the necessary arrangements. On March 5th 1922 Shackleton's body was laid to rest at the Norwegian cemetery alongside the whalers. After the end of WW1, Hussey's career had turned towards medicine, by 1923 he was a member of the Royal College of Surgeons and a Licentiate of the Royal College of Physicians. He was in general medical practice in London up until 1940. During WW2, he joined the Royal Air Force as a medical officer being posted to Iceland with the rank of Squadron Leader and then stationed at RAF Benson in London. He had a distinguished war record being twice mentioned in despatches. 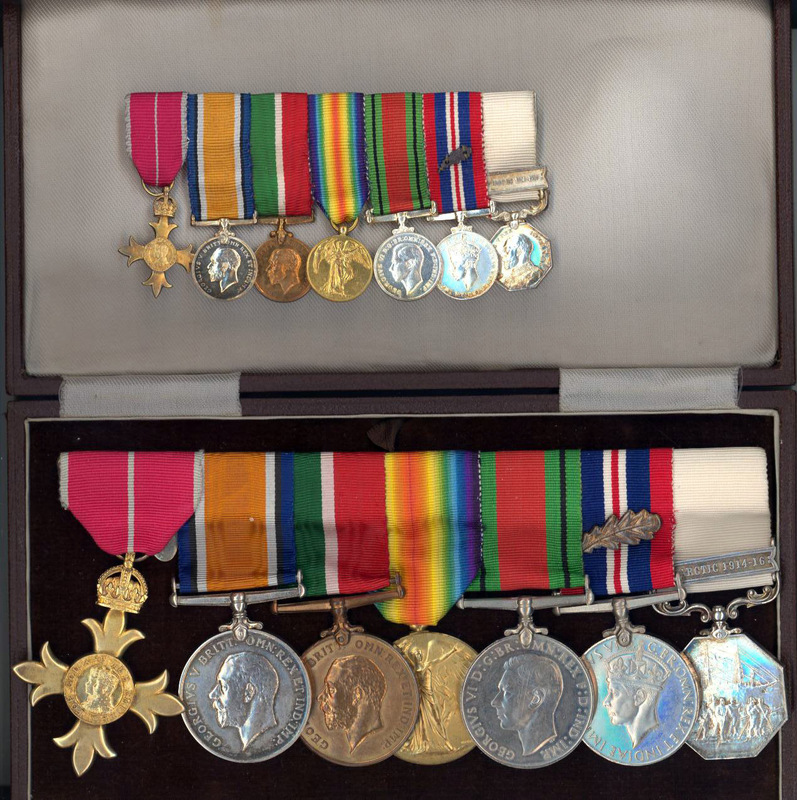 (01/01/1945 and 14/05/1945) and receiving the Military OBE. Hussey published his own book "South with Endurance" in 1949, in the same year he served as ship's surgeon on the S.S.Clan Macauley which sailed from England to South Africa and Australia. He continued to practise as a G.P. in Hertfordshire until around 1957 the same year that he became president of the Antarctic Club. Having been on so famous an expedition, Hussey gave many lectures about his Antarctic adventures until ill health in retirement prevented him from continuing. He gave his notes and lantern slides to a friend, Ralph Gullet, a local Scout Leader. His famous banjo was donated to the British Maritime Museum in 1959. He was married to Grace Muriel Hellstrom for many years - they had no children. Leonard died in 1964 aged 72. Grace died in 1980. I have just read the references to Leonard Hussey. He was at RAF station Halton, Bucks. when I was there in 1955/56. I met him there, I think he was a GP looking after families at the officers' married quarters. I had previously read the book about Shackleton's voyage and his mention of Hussey and his "Banjo" (I thought it was a fiddle). So, when I chatted with him and found out who he was, we had a pretty long discussion. I found him to be a quiet unassuming man, but with a glint in his eye of fun and humour. 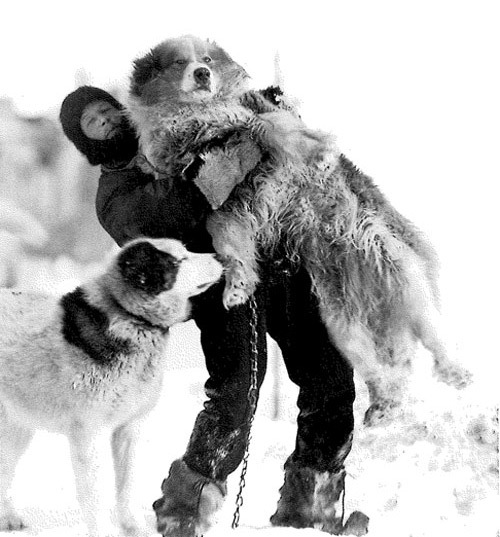 I could well understand Shackleton's keen appreciation of his good effect on the morale of those concerned. It was good to read about him and have more details of his career. It fitted him so well. I left RAF Halton and came to Canada in 1957, so I had only a short glimpse of a great personality. Thanks for reminding me. Just reading your notes on Dr Hussey in Cool Antarctica and notice that you mention that he gave his lantern and notes to Ralph Gullet. 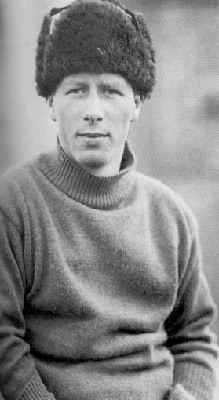 I can add that he wrote a lovely letter to Ralph saying how difficult it was to part with them but that "the lads would be pleased to know that their story continued to be told". The follow up to this is that I took over presenting Dr Hussey's lecture on Ralph's behalf from 1990 and then just before he died he wrote a similar letter to me asking for me to continue to take the story forward. I have since used the artefacts, notes and lecture over the years ( about 200 presentations) to raise monies for a wide variety of charities ranging from the Shackleton Library at Scott Polar, to sponsoring kids on the London Sailing Project to providing gers for homeless children in Mongolia. We had great fun this evening. Everyone was weighed and measured. Underclothing only is prescibed costume and we were all poking fun at each others grubby garments. Hussey our irrepressible little wit, appeared with his chest and bixeps padded and fell to posing. He is intensely funny. I weighed 174 lbs. This is about 27lb. above my normal weight which speaks well for our feeding here. The vagaries of the climate quite bewilder Hussey, our meteorologist, for just as he thinks it is going to do one thing the precise opposite often happens, but on the whole he takes his troubles very cheerfully; indeed he is now the most genuinely cheerful amongst us and his general cheeriness does much to enliven the tone of our table-talk and even to make others take their own little troubles more lightly. He is a Londoner by birth and is continually being chaffed about being a Cockney, a part which he often acts to perfection. His wit and repartee are exceedingly bright and invariably in the best taste. He is a B.Sc. of London University and reckoned very good at his own job.. Although no more than 23 years of age. he has had previous experience, having been a member of the Welcome expedition to the Sudan under Mr. Welcome and the firm Burroughs and Welcome. He is a banjoist of unusual merit and it is very pleasant to have music of any kind down here; his repertoire is sufficient to prevent his tunes becoming too monotonous, which cannot be said of my own. I have my old banjo with me, but as the drum burst on the way out I make this the excuse for not playing; actually my execution is so inferior to Hussey's that the comparison would not enhance my reputation in any way! Hussey is one of our smallest members but makes up in energy what he lacks in statue. Last night's concert was a great success. Hussey the indefatigable with his banjo and it really does as, as Sir Ernest said, supply brain food; not exactly intellectual food, but music hath charms altogether unique on Elephant island. Hussey obliged with his inimitable recitations, with a very good-humoured sally at me. The ship was blocked at one point by a wedge-shaped piece of floe, but we put the ice-anchor through it, towed it astern, and proceeded through the gap. Steering under these conditions required muscle as well as nerve. There was a clatter aft during the afternoon, and Hussey, who was at the wheel, explained that "The wheel spun round and threw me over the top of it!" Later there was a really splendid dinner, consisting of turtle soup, whitebait, jugged hare, Christmas pudding, mince-pies, dates, figs and crystallized fruits, with rum and stout as drinks. In the evening everybody joined in a "sing-song." Hussey had made a one-stringed violin, on which, in the words of Worsley, he "discoursed quite painlessly." The wind was increasing to a moderate south-easterly gale and no advance could be made, so we were able to settle down to the enjoyments of the evening. The quarters in the 'tween decks were completed by the 10th, and the men took possession of the cubicles that had been built. The largest cubicle contained Macklin, McIlroy, Hurley, and Hussey and it was named "The Billabong". As the drift was mostly affected by the winds, the weather was closely watched by all, and Hussey, the meteorologist, was called upon to make forecasts every four hours, and some times more frequently than that. A meteorological screen, containing thermometers and a barograph, had been erected on a post frozen into the ice, and observations were taken every four hours. "About a mile from Patience Camp we had a welcome surprise. Sir Ernest and Hussey sledged out to meet us with dixies of hot tea, well wrapped up to keep them warm. "Rickenson, who was still very weak and ill, but very cheery, obtained a place in the boat directly above the stove, and the sailors having lived under the Stancomb Wills for a few days while she was upside down on the beach, tacitly claimed it as their own, and flocked up on to its thwarts as one man. There was one "upstair' billet left in this boat, which Wild offered to Hussey and Lees simultaneously, saying that the first man that got his bag up could have the billet. Whilst Lees was calculating the pros and cons Hussey got his bag, and had it up just as Lees had determined that the pros had it. There were now four men up on the thwarts of the Dudley Docker, and the five sailors and Hussey on those of the Stancomb Wills, the remainder disposing themselves on the floor." The demons of depression could find no foothold when he was around; and, not content with merely "telling," he was "doing" as much as, and very often more than, the rest. He showed wonderful capabilities of leadership and more than justified the absolute confidence that I placed in him. Hussey, with his cheeriness and his banjo, was another vital factor in chasing away any tendency to downheartedness. During the afternoon three adelie penguins approached the ship across the floe while Hussey was discoursing sweet music on the banjo. The solemn-looking little birds appeared to appreciate "It's a Long Way to Tipperary," but they fled in horror when Hussey treated them to a little of the music that comes from Scotland. The shouts of laughter from the ship added to their dismay, and they made off as fast as their short legs would carry them.